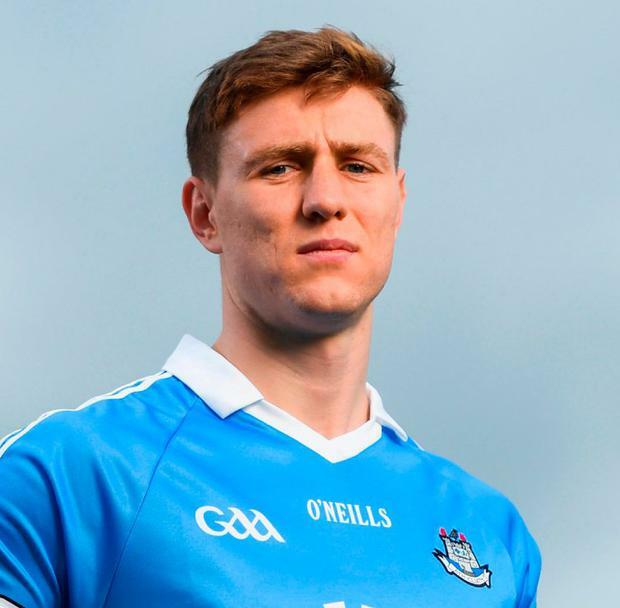 Dublin defender John Small insists there will be no let up in their final 'Super 8s' game against Roscommon on Sunday week. Jim Gavin's All-Ireland champions have already secured top spot in the group after their wins over Donegal and Tyrone, while Roscommon have nothing to play for after losing both of their games to the same opposition. Dublin will play their All-Ireland semi-final just six days after their date with the Rossies but Small, who made his first start in the championship this year for Dublin last weekend, insists the Dubs will be concentrating solely on Roscommon. "No," he replied when asked if it would be difficult to stay focused with nothing at stake. "Roscommon pose a very different threat than Tyrone do, and they are a different animal. "Everyone is fighting for a position, everyone wants their opportunity to represent the group and the fact that we have another game is great. We are just totally focused on Roscommon." "(It will be a) tough game, they've some really good players, the likes of Enda Smith and the two Murtaghs. They play a nice, attacking brand of football and it will be a really tough game in two weeks' time." Dublin will return to Croke Park for the second time in this Super 8s series for that clash with Roscommon. Small denied that there was any added motivation for Dublin to win a championship match against top-tier opposition outside of headquarters. "We just go out for every championship game and try to do our best. We don't really listen to what other people say, we just focus on the group and how we can perform. No, it was great that we went up there and got the win. "It was a great game up there, very tough, very physical, Tyrone are a great side. We didn't expect anything less, there was only one score in it in the end. Yeah, a very good game." "We're happy to play wherever, whether it's Parnell Park, Croke Park, Healy Park, you know, we're all just delighted to be able to represent Dublin and to go out and to perform to the best of our ability. We don't really mind where the games are to be honest." And Small added his voice to the growing chorus calling on the GAA to allow Páirc Uí Chaoimh to host the Liam Miller tribute game. "I'd have no issue with them opening up the gates and playing soccer games at all," he said at the announcement that AIG would be replacing their logo with that of charity Aoibheann's Pink Tie for the clash with Roscommon. "You know, it can't be a bad thing if more people are going to Croke Park or the different stadiums, watching games." "I haven't looked too much into it but I think I don't see any problem why they wouldn't play the game there in Páirc Uí Chaoimh," Small added.